Our Telehandler lift truck refresher courses are perfect for operators who have already been trained and hold a telescopic forklift certificate. A Rough Terrain Telescopic Forklift Certificate doesn’t expiresmafter years. The Telescopic refresher courses can be conducted at our training centre or on-site at your place of work. The courses are typically 1 day courses conducted with a maximum of 3 trainees. 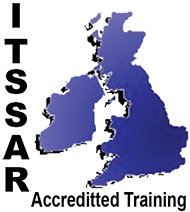 Our courses are accredited by ITSSAR, recognised nationally for Telehandler and Telescopic Lift Truck Refresher Training. If you are looking for CPCS training you can find a list of their training providers on their website. Rough Terrain Telescopic Refresher Course is ITSSAR Accredited and available to businesses and individuals across West Sussex and East Sussex to include Chichester, Bognor Regis, Littlehampton, Worthing, Lancing, Hove, Brighton, Portsmouth and all surrounding area’s. If you ar e not sure if we cover your area please call us or use our contact form page as a member of the team are always happy to assist you. 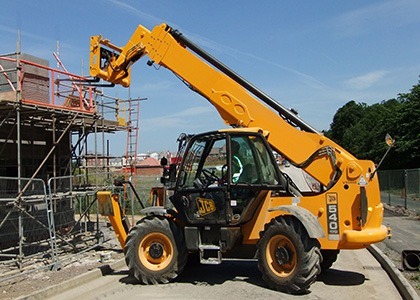 It’s a well known fact that there are companies out there which offer Rough Terrain Telescopic Training courses on a pay monthly cost, this involves signing up for finance and usually incurs a very high interest rate and in some cases a deposit. Normally these companies do not train their pupils direct and ultimately request quotes from companies like us. At Luft Training Services our Rough Terrain Telescopic Training costs are both competitive and low so you can afford to go direct. How old do I need to be to take the Rough Terrain Telescopic Refresher Course? The current minimum age to take the Rough Terrain Telescopic Training Course is 16 years old. What Rough Terrain Telescopic Courses do you offer? Conversion course is only for operators who have had previous training on other equipment and have experience. 2/3 days Experience course is for operators with previous experience with no formal qualification. 3/5 Day novice course is for operators who have had no previous training. What certificate will I get if I pass my test? Each successful operator will receive an A4 size certificate from Luft Training Services and a credit size photo I.D card which will be ITSSAR Registered. Why undergo FLT Rough Terrain Telescopic Refresher Course? The Provision and Use of Work Equipment Regulations 1998 (PUWER) states; “Every employer shall ensure that all persons who use work equipment have received adequate training for purposes of health and safety, including training in the methods which may be adopted when using the work equipment, any risks which such use may entail and precautions to be taken. Every employer shall ensure that any of his employees who supervises or manages the use of work equipment has received adequate training for purposes of health and safety, including training in the methods. Can you offer onsite training? Luft Training Services can offer all types of training on your site, the site must meet the minimum site requirements for training, contact us to arrange a pre site visit. Companies with more than 1 or 2 delegates may find this better suits there business needs. 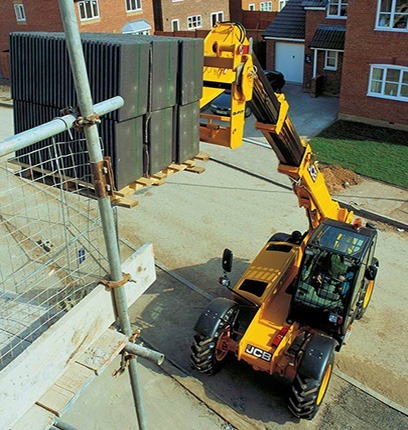 The refresher course is designed to test and refresh your telehandler operating and theoretical skills. At the end of the course each candidate receives an ITSSAR operators certificate of training and a photographic operators card. You may also wish to conduct your Reach Truck Refresher or Counterbalance Refresher Course at the same time. We discount our refresher courses if you wish to sit more than one refresher at a time. Contact us to find out more. Not sure which course fits your personal or business needs?